Brown Girl Magazine staffers pick out the items you need in your closet, beauty bag and life! Don't miss the August Brown List! On this special day, we would like to wish you all a very Happy Thanksgiving & a Happy Hanukkah! As a group of individuals,who work from all over the states and the world, we are so grateful to have such amazing readers & fans. 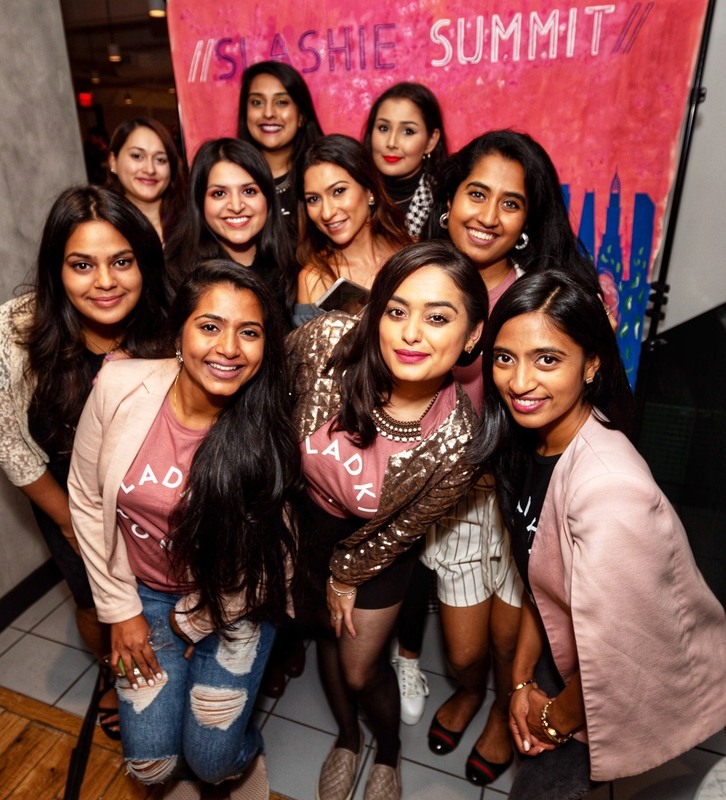 We are all so lucky to be given an opportunity to be the voice for young, South Asian women. We hope you have an amazing day with family & friends. Happy Holidays! Spring, where art thou? The weather may be gray, but don't let that spoil your mood! Brown Girl Magazine is back at it again with a host of exciting April Brown List picks. This March, BGM is feeling lucky with a plethora of new staff picks! You'll be spring-ready with a slew of amazing new products and hacks, tried and tested by our staffers. Love is in the air! Whether you're snuggling up to bae or a nice gallon of ice cream, you'll be falling for our February staff picks. Happy belated new year, BGM readers! Here’s to another 10 years of staff recommendations made only for you -- here are our latest selections. Whether you're looking for Thanksgiving recipes, a new nail polish, or ways to improve yourself, The Brown List has got you covered! The narrative surrounding mental health in South Asian countries is negative at best - and more often nonexistent. As children of those who immigrated from these countries (or immigrants ourselves) we often don’t know how to approach our mental health, or that mental health is even something to consider. The weather is cooling down, but we're still getting summer breezes. It's weird weather time, but BGM's staff picks will keep you right on track. It's summer time and BGM is turning up the heat with our fabulous staff picks. We'll have you beach ready in no time with exclusive beauty DIY's and product recommendations that are catered to YOU! Happy spring, readers! We know that the Brown List has been on a hiatus, but we're finally back and better than ever. BGM's staff wants to let you in on our favorite beauty, health and culture picks for April. Stories of hardship, remembrance, ourselves–past, present and future–expressed through the art of tattoo. Meet our staff in a new way, through their ink. With a new season just around the corner, we at BGM want to help you get your fall on! So without further ado, here’s our September staff picks. Born just outside of Los Angeles and soon after shifting to New York (I still hold that against my parents), I have grown up primarily in the suburbs of New York along the Hudson Valley. Despite the fact that I was deeply rooted in the Bangladeshi culture that I was raised in, the amount of South Asian girlfriends I had was almost non-existent for the majority of my life. Elizabeth Jaikaran was raised in Queens, NY and is the proud child of Guyanese immigrants. She is a student at New York University School of Law and will be joining a law firm as a litigator subsequent to her graduation in May 2016. Hey there! My name is Duriba, how about a handshake? No, no, don’t really reach out to your screen. Brothers please, that’s haram, c’mon now. Oh, darn...you got your greasy fingerprints on the screen and my, do you brown girls have a strong grip. Wow! And how soft are your hands? Girl, what moisturizer is this? Costco’s generic lotion? OMG, ME TOO! Hey BG world! My name is Syeda, and I’m a 23-year-old journalist living in Houston, Texas. BG's advice columnist 'Paging Pri' lets us into the world of Priya Tahim.